We are a leading Exporter of my crazy color fun - purple books, my crazy color fun - green books, my crazy color fun - pink books and my crazy color fun - red from Chennai, India. We are remarkable entity, engaged in exporting an excellent array of My Crazy Color Fun - Purple Books. 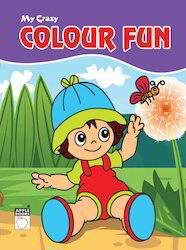 Offered my crazy color fun books are suitable for toddlers, preschool and kindergarten children and works as fun worksheet that reinforces recognition of colors. 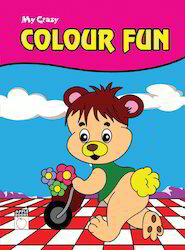 We offer our “my crazy color fun books” in diverse sizes & customized options according to the client’s demand. Our “my crazy color fun books” are designed keeping in mind needs of youngsters who are just getting started in their initial learning stage. We are foremost exporter of optimum grade My Crazy Color Fun - Green Books. As fun worksheet that reinforces recognition of colors, it provides a strong foundation for kid's early learning needs and also offers a unique coloring opportunity to children. Offered my crazy color fun books involve coloring each picture green and then drawing a picture of something else green. These “my crazy color fun books” are accessible in various sizes, printing & customized options according to the requirements of clients. Being the most respected organization guided by vendor’s experienced and knowledgeable professionals, we provide an enormous assortment of My Crazy Color Fun - Pink Books. These my crazy color fun books are designed using superior quality of paper & printing ink in accordance with the quality standards. Our offered my crazy color fun books are thoroughly checked by knowledgeable professionals in order to ensure their correct concept and correct content. Available in 64 page soft bound finishes, the book comprises pages on a variety of themes that children can color and help kids develop eye-hand coordination and color concepts. Due to our honest business standards and transparent deals, we are steadily making our way to the platform of success by offering My Crazy Color Fun – Red. 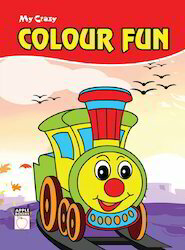 Our offered my crazy color fun books are designed with high quality paper & printed with high quality of inks. 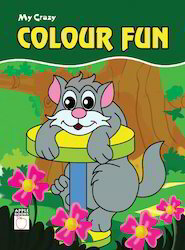 The provided my crazy color fun books are well known in the market for its unique coloring. Also, these my crazy color fun books are completely checked by well-informed experts to ensure correct contents. Looking for My Crazy Colour Fun ?